The beauty of cricket is the uncertainty, the certain uncertainty and the inexplicable twists and turns. However, fixed matches completely mar the excitement and take away the beauty. 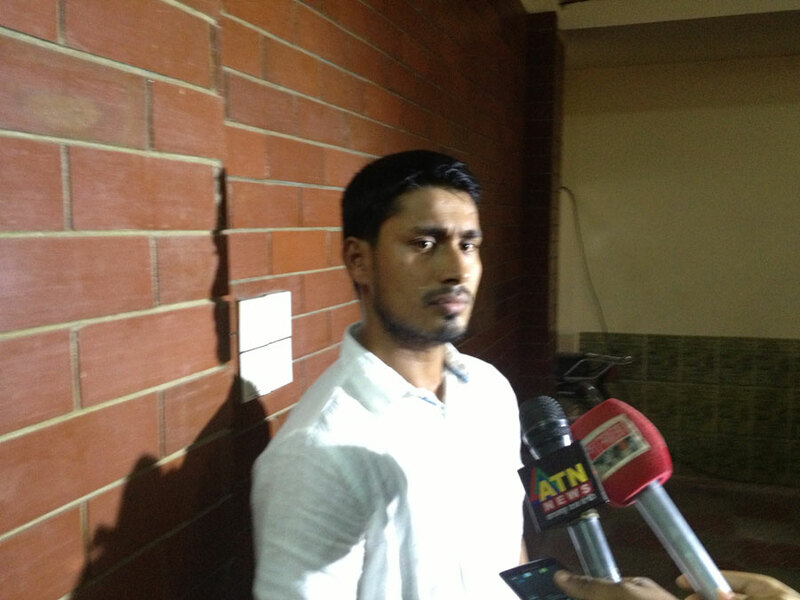 Albab Masud laments the loss of innocence, as ACSU continues to carry on investigation on Mohammad Ashraful who has been suspended by BCB recently. The beauty of cricket is the uncertainty, the certain uncertainty and the inexplicable twists and turns. Take that away, and it just a game where 13 men are on the field with no definite purpose. Mohammad Ashraful, with his heinous crime has brought the game down to a level of meaningless amongst Bangladeshis. I have always advocated the fact that cricket is much bigger than just a sport in Bangladesh. A country who constantly struggles against the ugly side of bureaucracy, where people are often let down by the government or tradesmen, a country where news is a synonym to bad news, Cricket always was a bright exception. Looking at our history, all major news in the past decade has been negative, either emphasizing the failure of our government or transferring heartbreaking news of innocent people losing their lives. Yes, almost all major news, barring the ones involving Cricket and Dr Yunus. Cricket gave our people a reason to smile, a reason to forget about all the havoc that runs around us, cricket gives us occasion where all people from all background can celebrate together and say with immense pride “I am Bangladeshi”. By corrupting that sport at international level, Ashraful and the ones involved with him has hurt the nation, has deterred many fans and forced many tears. The same Ashraful who gave us one of our proudest moments in Cardiff is now the reason for one of our most forgettable memory. What Ashraful and Co. has done is they have taken the innocence out of the game. Previously, when a player could not smash a half tracker out of the park I used to tell my father “this can happen to anyone”. Can I still provide the same reasoning? Can one put their hands on their heart and say confidently, what I saw was not part of a fixed plan and was certainly a part of the game? By stealing the innocence of the game, Ashraful has done the worst thing that could have happened to our cricket. The damage is such that the victims of spot fixing have gone beyond just fans. Now when the pride of our Nation, Shakib Al Hassan bowls a half tracker in the 49th over, eyebrows will be raised, questions will be asked about his commitment. Does he or any member of the cricket team deserve such scrutiny? Failure is part of a game, anyone who has played cricket will tell you that it is extremely easy to miss your spot with one ball, but now a bad ball will be looked with considerable doubts. As a sport fan, we always want the surprise, the excitement of ‘what-ifs’ and the prolonged discussions that follow. Fixed matches completely mar the excitement and take away the beauty. I will not be surprised if a large portion of the people turn their faces away from the game, some in disgust, some in shock and others just disappointed. Till last month, we were proud of the fact that our cricket is clean, where other cricketing nations are struggling to keep bookies out of the game, we were proud that Mashrafe, Shakib bravely fended off bookmakers. In a country that has been the ‘frontrunner’ in corruption, we were proud of our cricket team and their honesty. Our pride has been destroyed, our emotions toyed with and our beliefs crushed. As sad as it may be, our cricket needs to find the culprits that have polluted the game and make sure that they never have any interaction with the game. There is no point running away from the problem, it is time to face the problem, eradicate the virus and move on. And in the hands of Shakib, Tamim, Mushfique, I have no doubts our cricket will move ahead. But the shock Ashraful and Co. has given us, will last a while in our hearts. A story of heartbreak, a story of placing one’s trust in the wrong person, a story of a modern day Mir Zafar. This page has been viewed 4196 times.